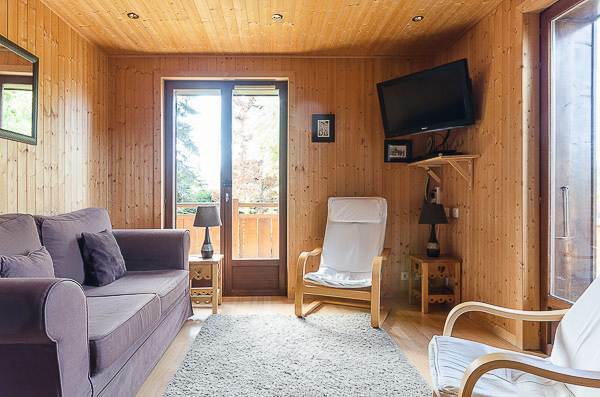 Great apartment with amazing views of Les Gets. Ski back route. 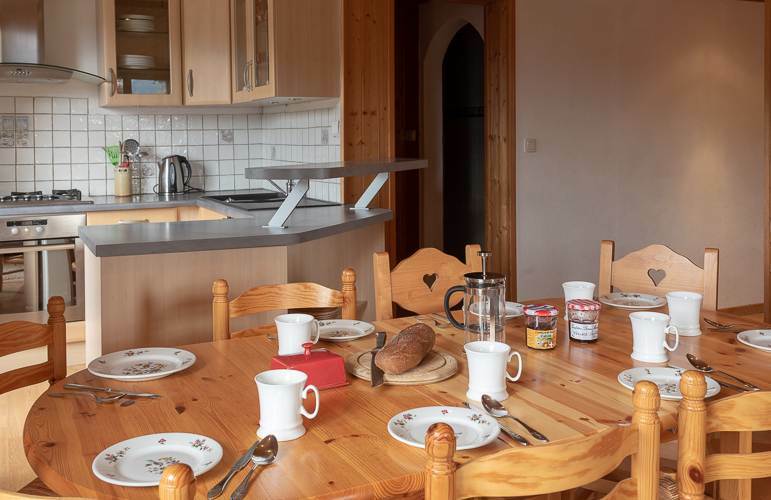 Edith is a spacious, sunny and light three bedroom apartment with sleeping accommodation for 7 people. 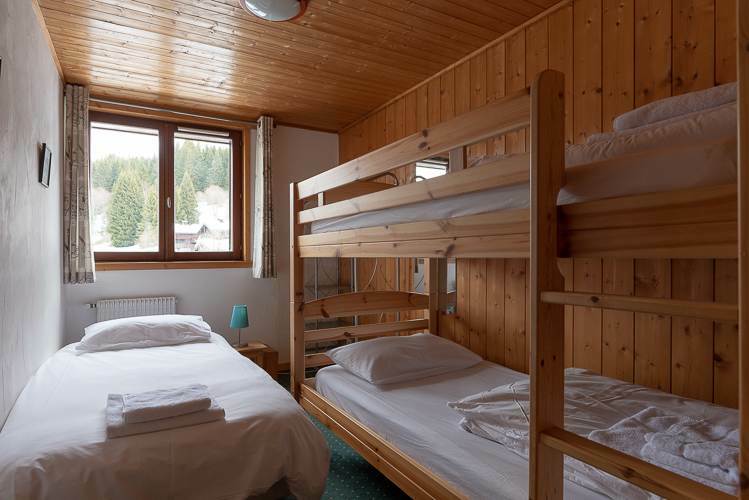 It has wonderful views over Mont Chery. 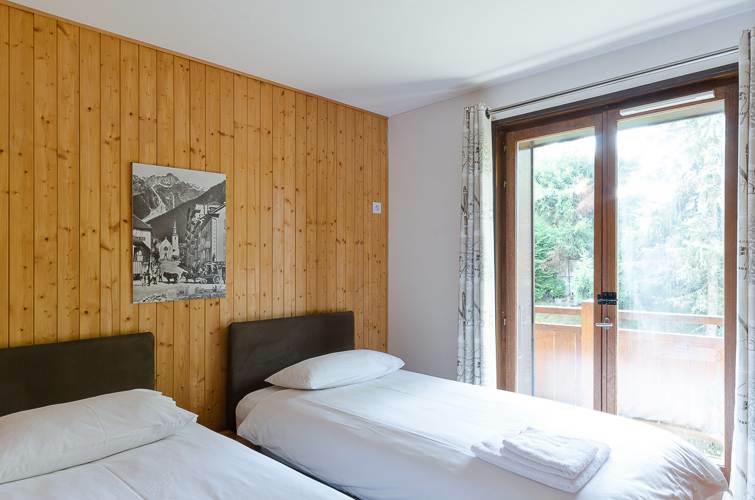 The apartment has direct access to it's own balcony from the French windows. 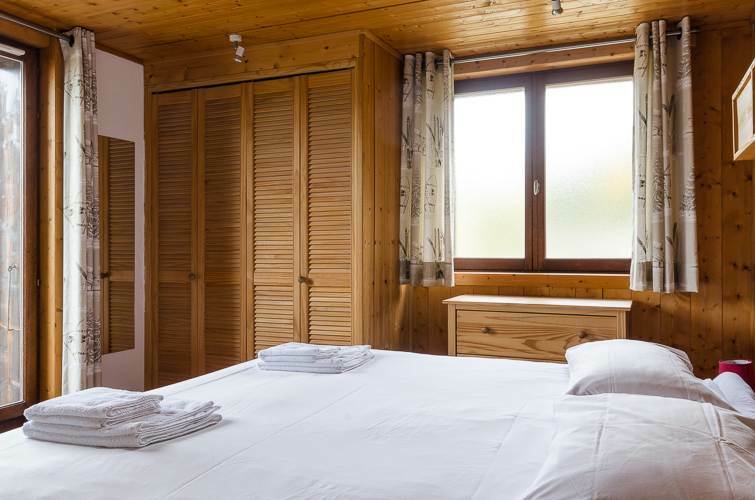 Edith is one of four apartments in Chalet Hastings, it is usually ski back to within a few yards, 10 minutes' walk to the piste/ski lifts and the bus stop is right at the bottom of the drive. Living Room, dining area and Kitchen. 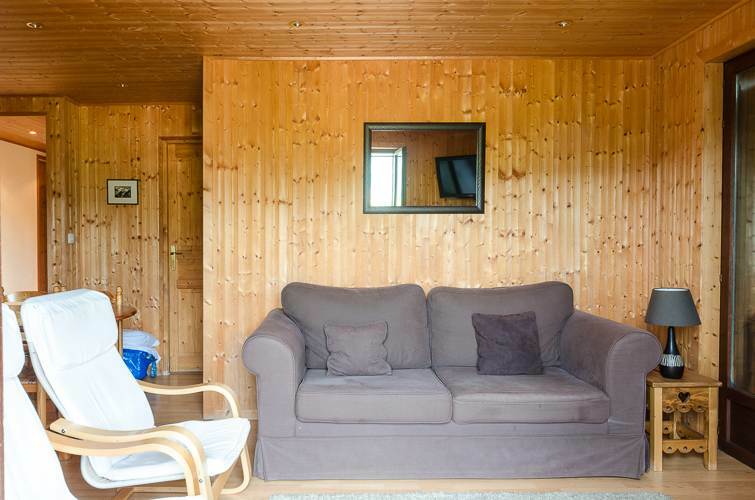 The living area has comfortable seating, a flat screen TV with English and French Television, a DVD player and there is also WiFi available. 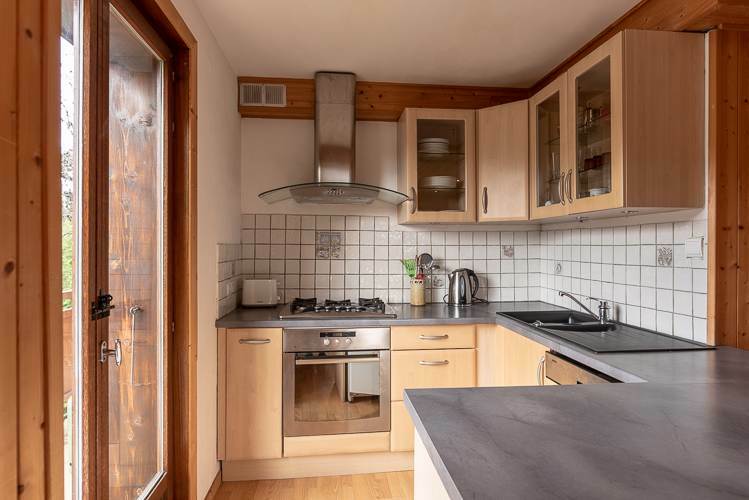 The kitchen is very well equipped with: oven, gas hob, microwave, dishwasher, fridge, coffee machine, kettle, toaster, crockery, cutlery, glassware, saucepans, serving dishes and utensils. You can usually ski back to within a few yards - the Les Folliets ski lift is less than a 10 minute walk in ski boots and you can also ski down into the village on the piste at this point. The bus stop is at the end of the drive – the video – opposite – shows the journey by bus from Chalet Hastings, taking the bus to the Les Folliets ski lift and then skiing back to Chalet Hastings. The lifts/piste map shows the location of the bus stop and the ski back route.